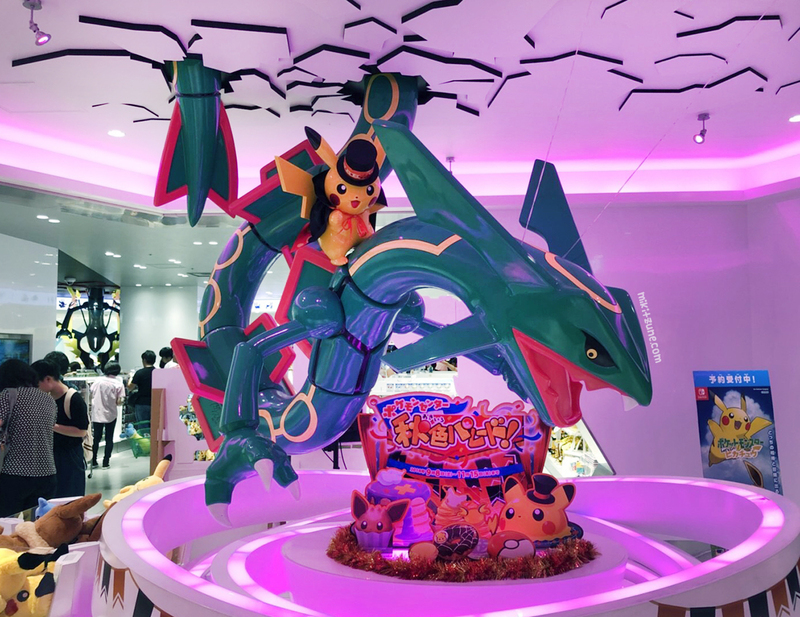 The main (possibly the only) Pokemon Center promotional release for Halloween went on sale this past weekend (September 8th) to much fanfare. The highlight for the morning was the Pokemon Center’s on-line store mis-listing the blind packaged acrylic and metal charms. Whoever is suddenly in charge of listing items on the on-line store doesn’t seem to know what they’re doing as I’ve noticed at least one major item with multiple mistakes (price, pre-order time period, release date) but at least in those cases, the item wasn’t yet available for actual pre-order. In this case… they listed both the single charms and the complete set of charms for the same price: 540 yen. The boxes of charms should have been listed at a little under 5000 yen, which is kind of a big mistake. Both sets sold out by the 2 minute mark. I’m not sure if the Pokemon Center honored those orders or not, but they were quickly relisted under the right yen amounts. If people did manage to score boxes of charms for 540 yen, then nice job to the ones who scored big! The main highlights for this release were the plush and mascot plush. Mascot plush are smaller sized stuffed animals, usually about 6 inches, that include a clip, chain, or loop so you can attach them to bags. They make great travel companions! Bonus! This year’s Halloween promotion had not one but two mugs! Team Treat had a cute mug featuring the main promotional artwork and a lid with a tiny ceramic Joltik.